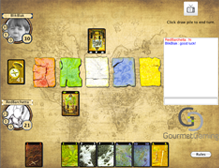 Welcome to GourmetGaming.com, offering fine online competitive gameplay. 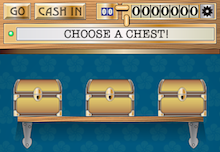 Play for free from your computer anytime. 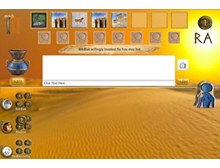 Click Play Now to get started! 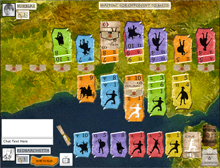 Lead your armies into battle against your opponent in this tactical resource deployment game based in Ancient China! 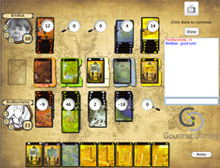 Across 9 turns, you and your opponent make simultaneous choices in the five main provinces of China. You must decide whether to commit armies to each area or take them away, all the time trying to predict where your opponent will attempt to gain control. You have limited resources, so if you over-commit to a single area you risk being left exposed elsewhere. 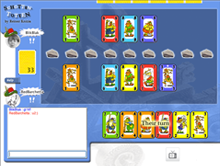 The advanced game brings special abilities and fewer resources, making for a tougher challenge. Includes online ranked 2-player play, offline friendly pass-and play, and single-player vs AI. A masterpiece of tactical play. 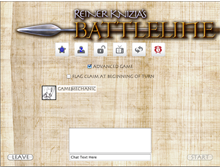 Claim flags on the battlefield by deploying your troops in pseudo poker style formations in this challenging and rewarding game from game design genius Dr. Reiner Knizia. 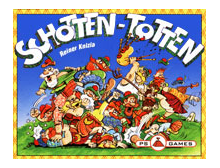 Fans of Knizia's classic Schotten-Totten will recognise Battleline as a re-themed and upgraded version. Battleline 3.1 for iOS is now available! We've improved our GameCenter integration, streamlined game creation for users in our lobby and improved the play experience with various bug fixes! Asynchronous games are now rated, and we've updated our ratings system, removing the previous CXR ratings and moving to a more robust ELO model! The unused Karma system has been removed, and overall the experience is cleaner and simpler to get in more online games! GameCenter Turn Based games properly match with the game settings now, and you can save your game settings preferences for instantly creating new games. 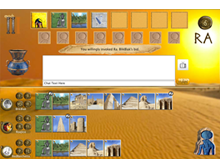 Invite your friends to play today! Lines Of Gold is a brand new solo puzzle game, highly addictive and quick to learn but deceptively complex and subtle to master. 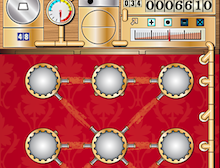 It is an original combination of game mechanics, part steam driven slot machine, part intricate puzzle, part strategy tile placement board game, part relaxing sudoko style brain teaser, part exploration adventure, 100% fun! 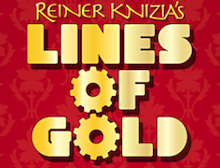 For fans of the metagame, Lines Of Gold boasts a competitive leaderboard featuring Reiner Knizia himself! 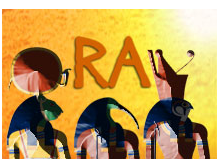 As well as a staggering array of achievements to unlock and items to collect. 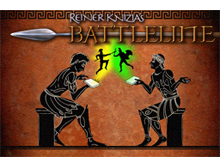 Designed by Dr. Reiner Knizia and built especially for the iPhone and iPad. 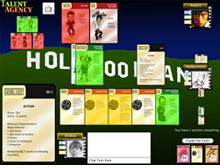 Hire and sell actors, actresses, and directors to complete the best movie scripts. 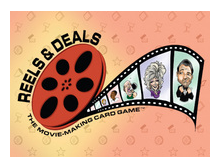 Earn the most money and points by managing your hand well, evaluating auctions, and exercising your film taste in this excellent and amusing card game for 2 to 5 players from Agman Games. 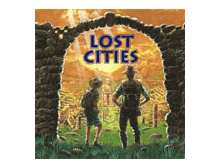 Lead daring archeological expeditions to earn the most points in one of the finest two player casual card games ever created. 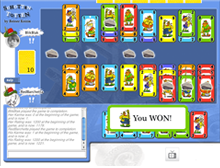 The winner can sometimes be the luckiest, but is usually the player who manages risk the best!